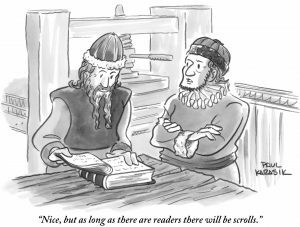 On Monday, March 27, cartoonist Paul Karasik is coming to UBC! He will give a lecture to students in the Seeing and Knowing group of Arts One, on a text he co-authored with David Mazzucchelli: City of Glass, a graphic novel adaptation of the novel of the same name by Paul Auster. That is Monday, March 27, 1pm, in Henry Angus 254. It is for the Arts One class, and there isn’t room in that room for others. 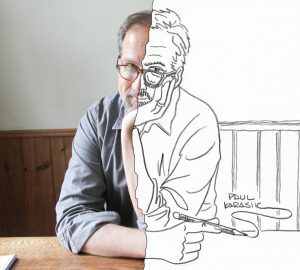 In an illustrated lecture, cartoonist and teacher Paul Karasik will reveal the secret language of comics through the deep reading of several comics. after this lecture, you will never read a comic the same again. Please join us for Karasik’s “Comics 101” lecture Monday March 27 at 4pm! Paul Karasik was the Associate Editor of Art Spiegelman and Francoise Mouly’s RAW magazine. He has anthologized archival comics by Fletcher Hanks in two volumes, the first of which received an Eisner Award, the highest honor in the field.